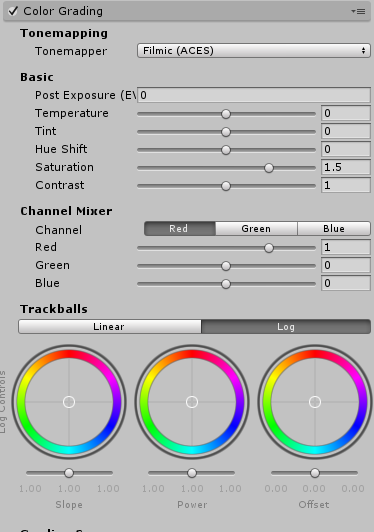 Can unity only show some specific color? I want to make a game which everything are black and white that just like "Limbo". And I also want to use red for highlighting, such as particle effect. Therefore, the game will only have red, and color between black and white. Is there any way to turn the game in black and white and only show red color? Thank you. Hello! I haven't experiment with this to extents but I do have some tips I can give you! A: Manually setting each GameObject their own colour - but I figured you might've thought of this to begin with. What you might be looking for is here on the Stack! Yeah....I tried it. But everything I watch from Main Camera with Post Processing Stack is just black and white. I want every objects are black and white but every particle effect remain its color. Actually I want something like this: https://www.youtube.com/watch?v=4jnt0CWD40c I don't know how to make a shader like this and how to use it.